Iron deficiency anemia is one of the common causes of anemia characterized by low level of red blood cells due to iron deficiency. 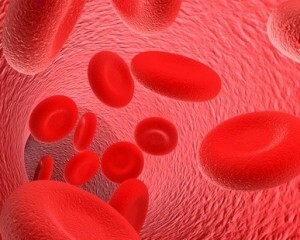 Iron is the principal component of hemoglobin which in turn is the major component of red blood cells. Common symptoms of iron deficiency anemia are pallor (paleness), weakness and respiratory distress in severe cases. Untreated severe degrees of iron deficiency anemia may lead to heart failure. Women are particularly at risk of developing this type of anemia because of monthly blood loss during menstruation. Treatment options included dietary modification, intake of iron-rich foods, oral iron supplements and management of underlying diseases that may lead to iron deficiency anemia. Tingling sensation felt in legs. Heart failure characterized by swelling of the limbs and respiratory distress at minimal exertion or at rest. Delivery of premature and low birth weight babies in pregnant mothers. Even a miscarriage can also occur. Delayed growth and development in children. Increased risk of contracting infection. Poor intake of iron. Milk is a poor source of iron whereas meat, cod liver oil and leafy green vegetables are rich sources. Defect in absorption of iron mainly due to intestinal diseases like malabsorption syndrome, inflammatory bowel disease and topical sprue. It may lead to poor absorption of iron through the walls of the digestive tract. Sometimes phosphates, phytates or some drugs may form different compounds by binding with iron and hinder its absorption. 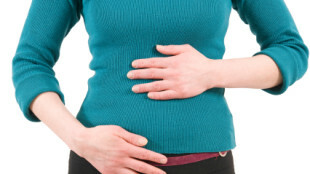 Surgical removal of a portion of the gut may also lead to inadequate iron absorption. Blood loss as seen with heavy periods in women, cancer and bleeding peptic ulcer may lead to symptoms of this type of anemia. Higher than normal iron requirement in pregnancy requires increased iron stores because of additional requirements of the growing baby. The aim of treatment is to correct iron levels. Dietary modification includes increasing the intake of foods rich in iron like animal proteins, spinach and taking vitamin C supplements as it helps in iron absorption. Oral iron supplements should be taken on empty stomach. Usually it takes months of therapy before anemia is corrected. Parenteral iron supplements (injections) includes iron dextran and iron sorbitol citrate which are used in patients who are unable to tolerate oral preparations or have defects in absorption due to some underlying gut disease. Use of oral contraceptives to reduce blood loss during heavy periods. Treatment of bleeding peptic ulcers. Surgery to remove tumors or polyps that are bleeding.